The search engine has just released the results of its fiscal third quarter ended September 30. Revenues grew 12% over the previous period. Net income approaching 3 billion dollars. At the opening of Wall Street, the share increased by more than 13% and more than 1000 dollars. Unsurprisingly. Everything is better in Mountain View, at least for the moment. 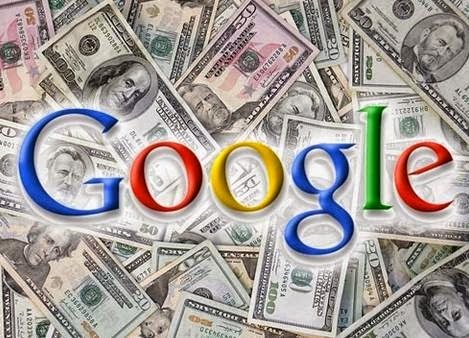 In fact, Google has announced the results of its fiscal third quarter. Increasing by 12% compared to the third quarter of 2012, total revenues amounted to 14.97 billion dollars. Excluding payments to advertising partners, it is 11920000000. With a net profit of 2.97 billion dollars, or 8.75 $ per share, all of these figures are in line or slightly above analysts' expectations. Ultimately, if we look at results by segment, sites operated by Google accounted for 68% of the total and partner sites accounted for 23%. But more interesting, which is shown as "Other revenue Google" account for 9% to 1.23 billion turnover. Up 85% compared to last year, this segment consists primarily offers BtoB business, which is very encouraging. Outside the United States, the company makes 56% of its sales, a slight increase compared to previous quarters. By itself, the United Kingdom account for 10% of total revenue. A more precise geographical distribution has not been provided by the publisher but Larry Page said that emerging countries progressed significantly. also recognized as CEO Larry Page, the issue is now clearly in this area for Google. "For years, everyone talks about the multi-screen world. Now it happened and on a scale that few imagined, "says Page. He also recalled that 1.5 million Android phones are activated every day. Therefore, even if the numbers are good and clickthrough rates rose significantly on tablets and smartphones, the turnover generated proportionally lower. A final problem is the decline in advertising prices by 8% compared to last year. According to eMarketer, Google remains the leader in digital advertising with 41% of the global market and 53% with regard to mobile.